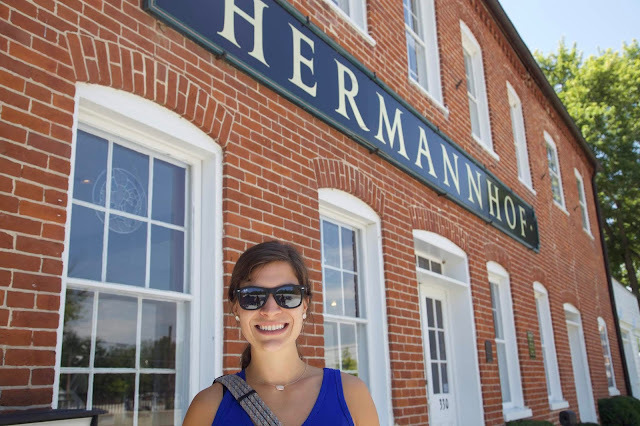 Aaron and I had talked about visiting Hermann for a while now, but when the opportunity officially presented itself before the end of the summer, we knew we had to take it! Hermann is only three hours from where we are in Kansas City, and is only about an hour from the St. Louis area. And oh friends, it is beautiful!! If you're looking for a perfect little getaway in the heart of the rolling hills of the Midwest (and in our own little wine country), then look no further! Here are some of our favorite tips for an amazing trip to Hermann. 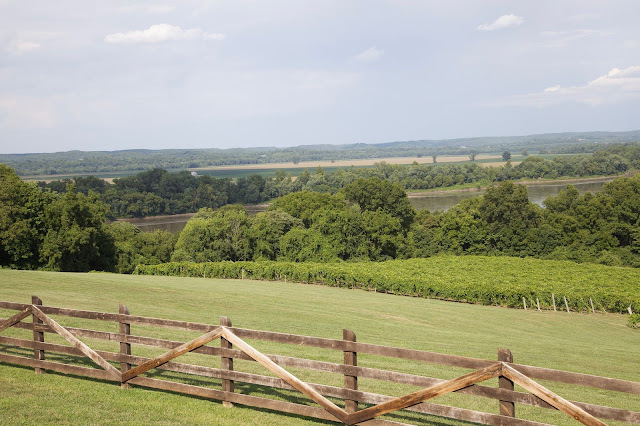 Hermann has some really excellent history, mixed with lots of great wineries, beautiful scenery, and a dash of newer distilleries and breweries mixed in. And of course, delicious food and German heritage! My best tip for you? Stay in the heart of it all! We stayed at the Hermann Crown Suites, which was right on 4th and Market Street. I'll sing more praises of it later, but first, hear me out on location. If you stay in a guesthouse or boutique hotel right in the middle of it all, you can easily walk the main part of the Hermann downtown in a very short amount of time. While we did drive our car to get to some of the farther out vineyards (and just to check out surrounding views and cities), we were able to walk in and out of our place to go eat, stretch our feet, shop, and even hit some of the nearby wineries. Additionally, a lot of hotels and or wineries provide free shuttles to farther out destinations as needed. There are lots of trolley tours, and you can come in on the Amtrak from KC or St. Louis as well, so I can totally see how you wouldn't really even need a car once you're there. I loved that about this city. 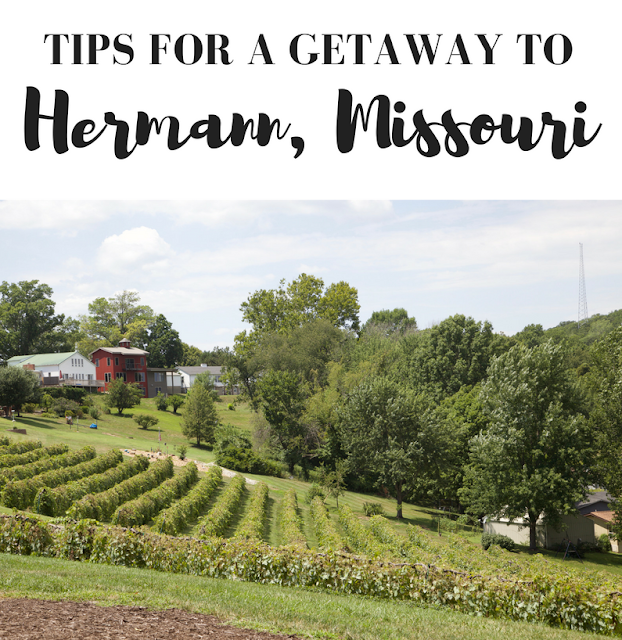 This was our first visit to Hermann, but I would definitely recommend the Hermann Crown Suites, and I'd stay there again for sure. It's a collection of private "suites", ranging in size from a place with one queen bed and a private bath to a suite that can sleep 8! We stayed in the Winery Suite (which you can book on Airbnb here)! It was really great, and came with two drink coupons, a free shuttle, free breakfast, and it even had a historical wine and craft beer bar onsite. We were there on a Thursday and Friday, so we stayed on a Thursday night- which made it really really affordable. We actually used our Airbnb credit from being hosts and paid nothing! I'll be honest, Hermann can get quite expensive on weekends and especially on special festival weekends- so keep that in mind when planning your visit. Side note: lots of places are closed on Mondays and Tuesdays, so don't visit then! 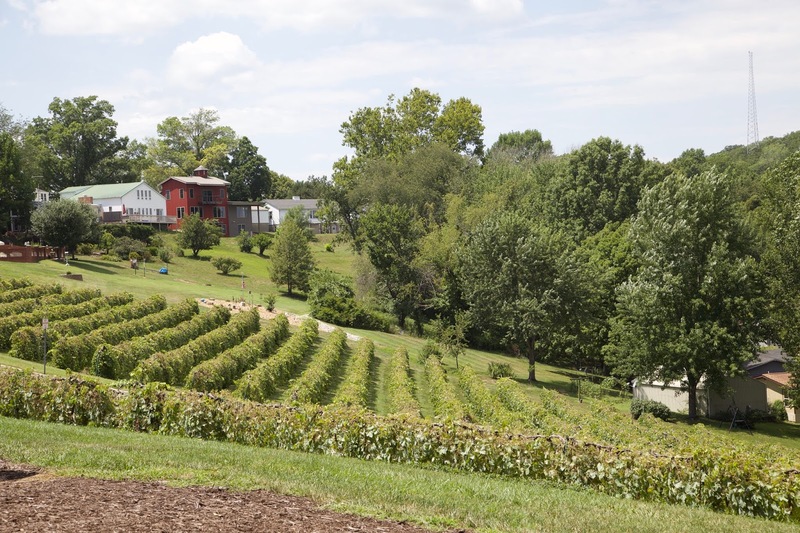 If you are okay with spending a little more money and fighting the crowds, there are lots of special "wine trail" events throughout the year. These different events typically pair food and wine along with special events and music throughout the year. We noticed that things seemed pretty dead on Thursday, which we actually loved because we had the place to ourselves and we were perfectly content playing Chinese checkers and eating cupcakes to end our evening- not to mention saving a whole bunch of money on our hotel. But if you're looking for a little more lively social outing in the evenings, you may want to pony up the money to visit on a weekend or even during Octoberfest. Check out the Hermann Event Calendar and plan ahead because weekends fill up fast! 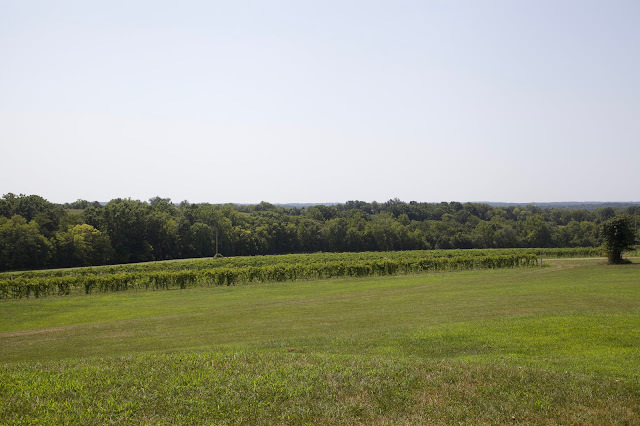 Within the Hermann wine trail, there are seven main wineries that stretch between Hermann and nearby New Haven. There are also some a little farther out that we just didn't make it out to this time. 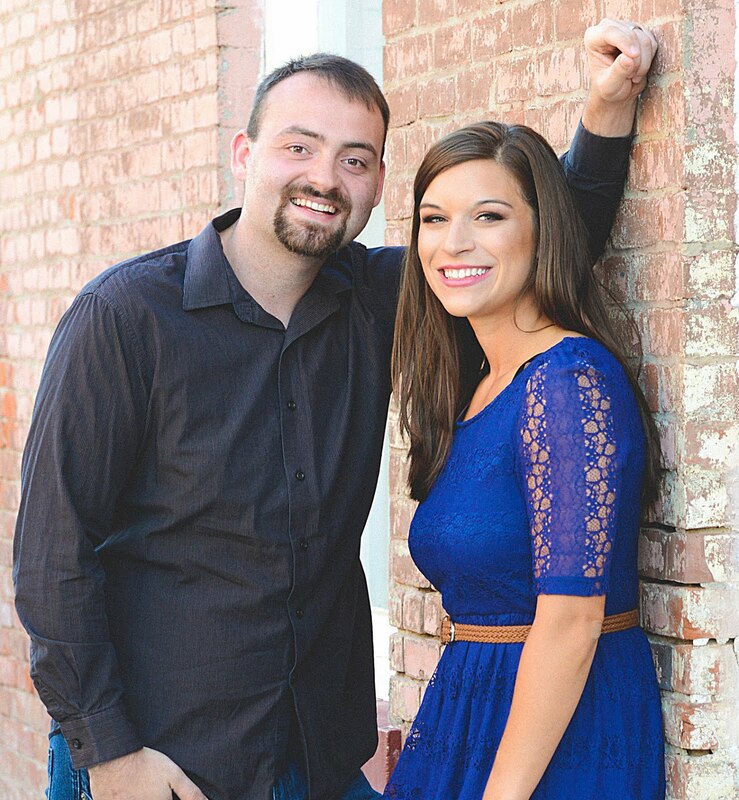 I'll highlight a few of our personal favorites! This is where we kicked off our trip and it was hard to beat! Julie in the tasting room was phenomenal, and the wines were varied and quite good. In general, tastings are $6 for 5 samples. 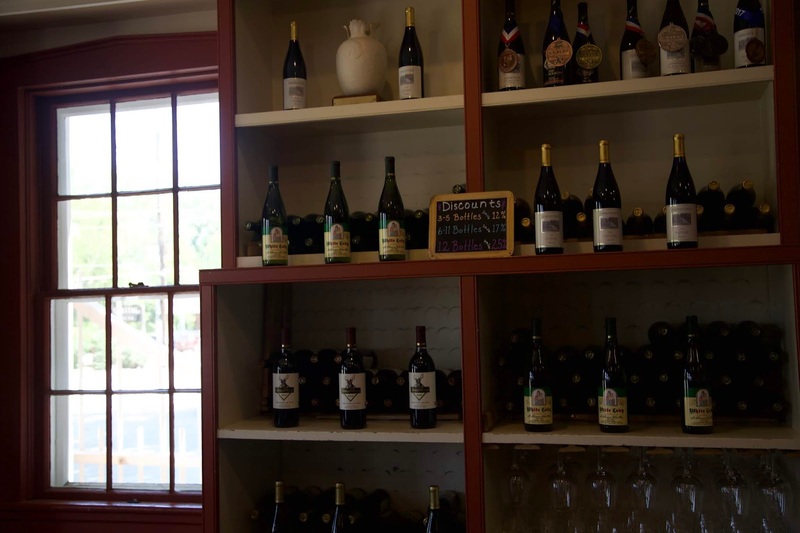 Hermanhoff also has a Dierberg Star Lane Tasting Room, which is for tasting their estate wines from California. 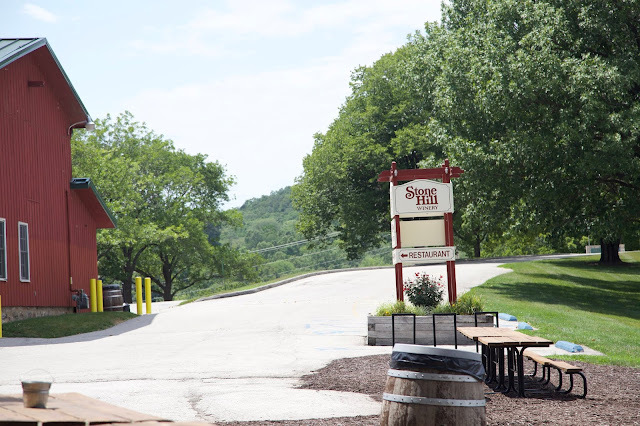 They also run Hermannhof Inn, Tin Mill Brewery and Restaurant, Hofgarten, and Hermann Farm. Basically, they're a huge presence in the town, as their website will show you! A can't miss, and easy to walk to. This place is HUGE. We're talking, second largest producer in Missouri huge. They have a beautiful location up on a hill, and they offer a free tour every hour that is super cool. We didn't walk from our hotel, but it was like a six minute shuttle ride. You get to see the old wine cellars that were dug by hand. Tastings are also $5 for six samples. We didn't eat at the German restaurant here, but everyone says it's the best in town! They have some good sweet wine and 25% discounts on their wine of the month. Here's their website. This place is farther out in New Haven, but it's huge and beautiful. Definitely a lot more open, with 15 acres of planted vines on an even larger property. You'd definitely need a car (or a tour/shuttle) to get out here, but they host huge concerts and a variety of fun events each year. 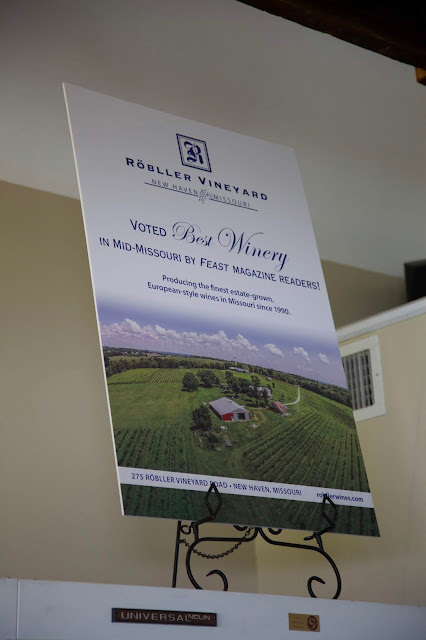 My knowledgable hubby says their wines are some of the very best, and they were just awarded "Best Winery in Mid-Missouri" by Feast Magazine to prove it. The gentlemen here were so friendly, and even took us into their basement to show us their production. Tastings are free, so be sure to make a stop. Check out their website for more info! This place has the BEST view around, so you definitely need to get in your car or on a shuttle/trolley and make a visit. It's not a long drive and it's all so beautiful. OakGlenn has a lot of fun outdoor events and live music, and it is open far later than anywhere else in town, so consider ending your evening here! They do free tastings, so give it a try! We also heard they have more mixed drink and beer options than other places in town do. We did visit a few other places, but the ones that I've mentioned above were our favorites. If you have questions about any specifics, feel free to shoot me an email here and I'll share any insight I can. We had a great dinner our first night at the Fernweh Distilling Company Restaurant. The spinach dip and pita chips were the best I've ever had. I have the Avocado Ranch Chicken Club which was just as yummy and it sounds, and Aaron enjoyed the Brisket Grilled Cheese. Mains are around $14 and come with a side. We loved Wings a Blazin! It was delicious and very affordable, especially with daily lunch specials. Yum! It also was literally a two minute walk from our hotel, just a couple of doors down. We wandered into UnColor Wine Bar and Gallery (also literally right next to our place) for cupcakes and games later in the evening when most other places were closed. The owners were really nice and people around us were enjoying wine flights. I found two adorable pairs of earrings in a cute shop called The Vine Boutique (which also has a super adorable guest house available to rent. It's on Schiller, along with a few other places that are supposed to be cool, like the Bank Bar. 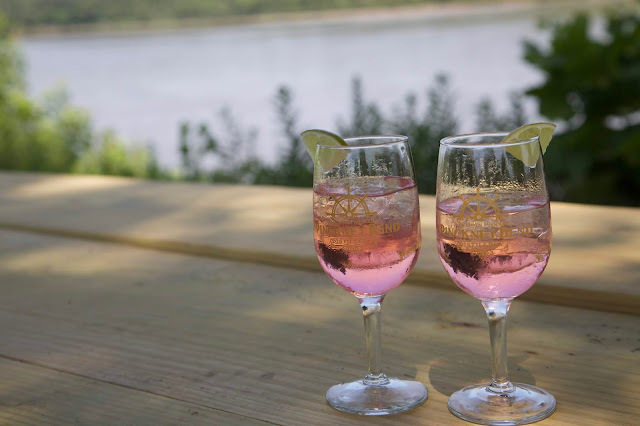 If you have the time, and make it out to New Haven, enjoy the riverside views of downtown, and be sure to visit Pinckney Bend Distillery for a distillery tasting. They are $5 and include a souvenir glass and a gin and tonic at the end. I don't even like gin and I loved their drink! All in all, we had a great time and we felt like Hermann was the perfect little two day, one night getaway. You could make it two nights, but you'd probably need to come on a weekend so that a little more would be going on to see and do- just keep in mind that you may be doubling your hotel cost and fighting crowds a bit more. We'll be back! Let me know if you have any questions. 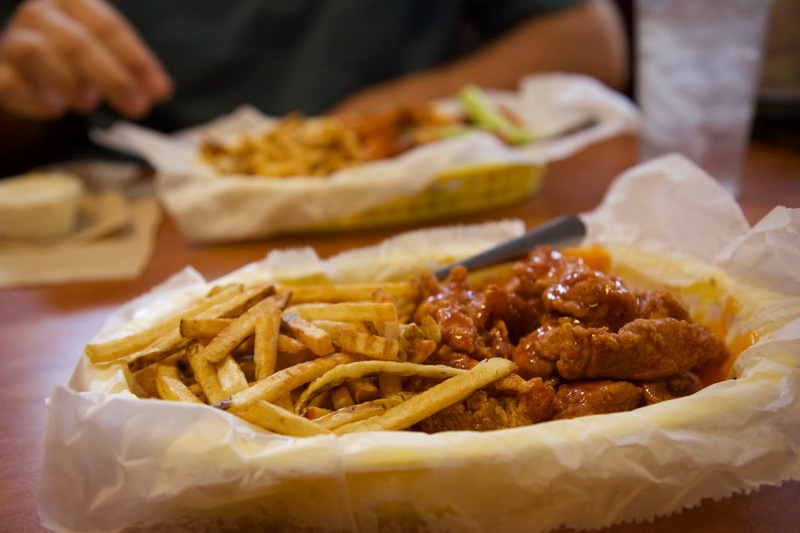 If you're a Hermann regular, where are your favorite places?? I would like to go back to Missouri and visit. Hermann seems like such a cute town to go too. It looks so pretty and that food looks delicious! Yes!! It's beautiful and definitely worth a visit! Oh Hermann looks awesome! I'd love to visit here someday. It's so so fun! You should visit for sure! I've never heard of this place but it looks so fun! 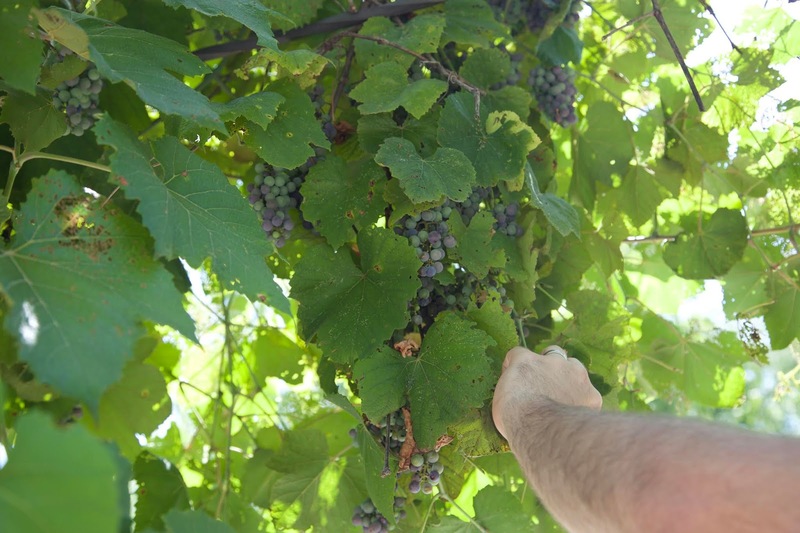 I am all about wineries! It's a little gem in Mid-Missouri! I love wineries too! This sounds super cool. I would love to try some authentic German cuisine. And of course, I love wine so I'm all about the wine tasting! It IS super cool! You'd love it and it sounds like it's right up your alley! 1This looks like such a quaint and fun town! It is quaint and so fun!